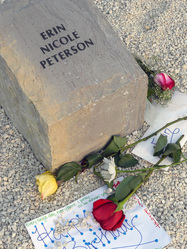 Memorial stone of Erin Nicole Peterson on 4/16/08. 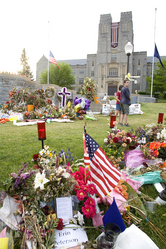 Items left at the memorial plaque of Erin Peterson on the drillfield. Photo taken on 5-1-07. 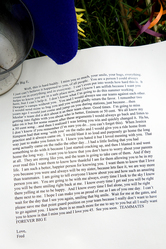 A letter left at the memorial plaque of Erin Peterson on the drillfield. Photo taken on 5-1-07. 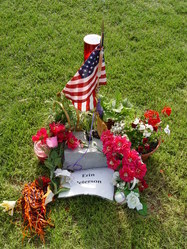 This photo captured Erin Peterson&#39;s hokie stone.